MOSCOW, March 28. /TASS/. The Venezuelan government has no plans to use Russian military servicemen in operations on its territory, Venezuela’s military attache in Russia Jose Torrealba Perez told reporters on Thursday. "No plans to use the Russian military in any military actions," he said. 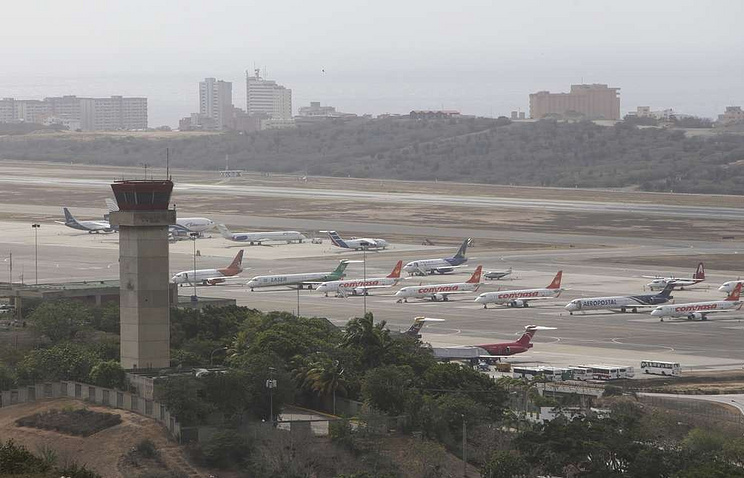 The El Comercio newspaper earlier reported that an Antonov An-124 and an Ilyushin Il-62 aircraft carrying Russian troops and 35 tonnes of cargo arrived in the Venezuelan capital of Caracas on March 23. Russian Foreign Ministry Spokeswoman Maria Zakharova said in a statement on March 26 that Russian specialists had arrived in Venezuela in strict compliance with that Latin American country’s Constitution. The diplomat stressed that their presence in Venezuela was stipulated by the 2001 agreement on military-technical cooperation reached by the Russian and Venezuelan governments.